Find your city or town, then find your legislator, cherry sheets, and homepage for charter, bylaws or ordinances, city departments, and more. Use the Materials and Lesson Plans! 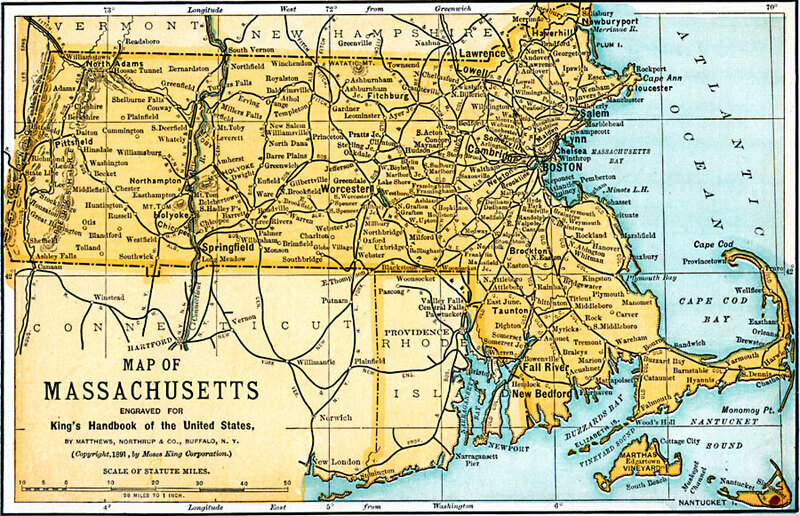 Massachusetts has 351 cities and towns. This is your resource for accessing a wide range of official information -- community profiles, state aid (cherry sheets), official websites, and more -- specific to each city and town. Law, procedures, and valuation from the 2012 Course Handbook for property tax, personal property tax, and motor vehicle excise tax. Boston is in Suffolk County, as are its neighborhoods. View map or purchase from Secretary of State Galvin's Office State Bookstore. Cherry sheets, municipal law and more. Abatement application form, exemption/deferral, property held for charitable purposes and much more. Abatement applications, personal exemptions and more. 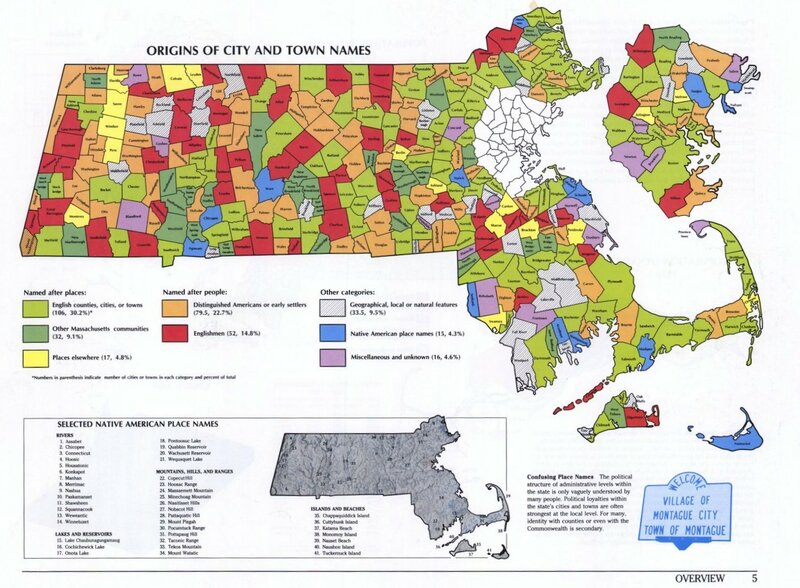 Legal topics and citations commonly used by municipal officers, plus Mass. General Laws Table of Contents. Scroll through to the last pages. The following frequently asked questions (FAQ) are intended as a quick reference for the general public, taxpayers and assessors. They are not intended to provide definitive answers to particular personal property tax issues, which may be very taxpayer and fact specific. Local officials and others may obtain informal legal advice through the Bureau's "Attorneys of the Day" phone and e-mail service. The Bureau also issues formal written opinions upon request. Select a town to find the numbers, then check with the local police department for more details. Start here for resources held by the Massachusetts Archives at Columbia Point, and also to find digitized information. Annual one-page profiles of cities and towns. Directories, records, and maps are linked from this page. 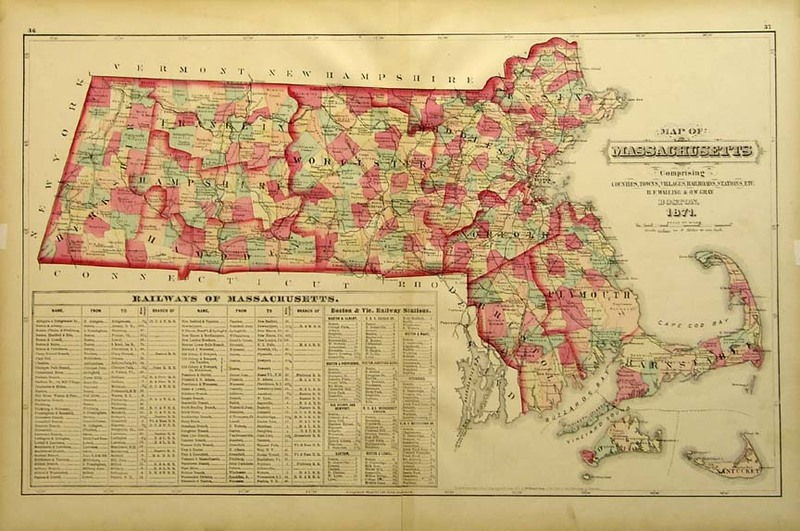 beginning in 1868 until the last issue in 1985, The Newton directory "containins a general directory of the citizens, a business directory, and the town record, to which is added a business directory of Waltham and of Watertown, the County register, and other information." City directories in chart format, town by town, with ranges of dates. Variety of resources for cleanup following a disaster, from Energy and Environmental Affairs for the Commonwealth. Hurricane zones with a link to individual maps for cities and towns. From potential roof collapse advisory to Homeland Security and a spectrum of other public safety issues, turn to this site. 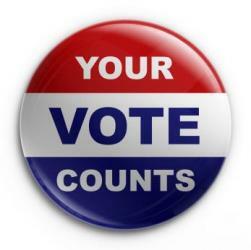 When the citizens of a community want to change the charter that serves as the “constitution” of their local government in order to meet evolving responsibilities and demands, they must follow one of the charter change processes spelled out in the Massachusetts Constitution. Dates counties were established and also abolished, with citations. There are 22 categories of postcards in the online collection. 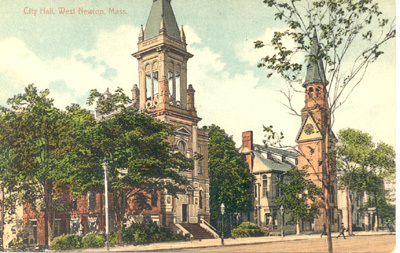 The actual "Newton Collection" postcards are housed at the Newton Free Library. Click on any of the categories below to see more postcards. The old Newton City Hall in West Newton. Before the storm, during the storm, after the storm, and funding.